And conversely, there will always be those who are less than you in all these ways. As a human being we are constantly comparing and judging and in Tarot deck too, we have special cards that represent these two dominant thought processes of human being. It’s the way we are wired and the only way we can break free from it is getting present to it and Tarot helps you in that. When I do a card reading for myself and if these cards come, it’s like a flag to snap out. How can one compare a “Bamboo” and “Oak”? Comparison between past and future, oneself with other or in any other form causes separation whereas everything in Universe is connected. But choice gives you power to choose and be free! Even after knowing it its so easy to start judging and comparing. That’s why one of my first questions when I do a reading is to get the person’s state of mind. 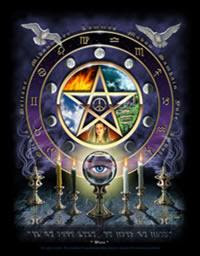 Besides telling what is running in the person’s mind is also helps me to ensure that Tarot are aligned for the reading. And I must tell you, it’s amazing to know what’s actually running you!